Lancaster County is decking the halls from corner to corner with decorations, holiday shows, events and more. Theaters, local attractions and our bed and breakfasts are alive with the Christmas spirit. Take train ride with Santa, watch a Magic Lantern Christmas Show, or visit one of many theaters for a holiday show. Be sure to make your overnight reservations at www.authenticbandb.com. 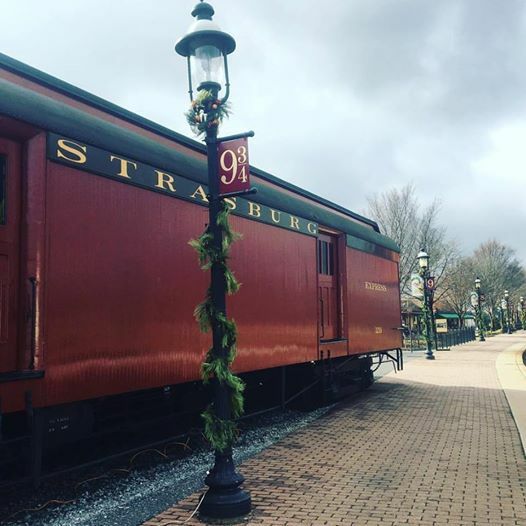 The Strasburg Railroad hosts Santa's Paradise Express through the month of December. The train takes passengers on a tour of Paradise, PA, while Santa visits guests with treats and stories. Visit www.strasburgrailroad.com for a complete list of events. Through December 23, the National Christmas Center will host the Christmas Market and Village of Lights. Guests can stroll the grounds and enjoy Christmas light displays, life-size nativity light shows, singing Christmas trees, a bonfire and hot chocolate. You can also check out Santa's Peek-a-Boo cottage and make Christmas crafts. Experience a historical Christmas at James Buchanan's Wheatland during the Yuletide at Wheatland through December 30. Join LancasterHistory.org as they take you back to the holidays of 1867 when Miss Emily Baker organized a Christmas party for President Buchanan. Guests can take a step back in time for the Victorian Christmas in the former president's home at the historic Wheatland Grounds. Performances are Fridays and Saturdays and tickets are $6-$12. 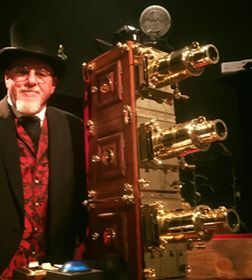 One of Lancaster County's most unique theaters is the Magic Lantern Show at Plain & Fancy Theater in Bird-In-Hand. The Magic Lantern, popular in the 1800s-1900s, was one of the first projector screens and paved the way for motion pictures. The Lantern projects motionless hand-painted slides onto a screen while Mark Sullivan, artistic director at the theater, narrates the show. "We are the only Magic Lantern Theater in the last 130 years," says Sullivan. The show begins with Sullivan, dressed in character, interacting with the audience with comedy, singing, trivia and followed by the lantern slide show. The Christmas Show includes classic stories like "Twas the Night Before Christmas, "A Christmas Carol," and the birth of Christ. New to this year's show is the little-known Charles Dickens story "Gabriel Grub and The Goblins." The new slides date back to 1860s and are from England. 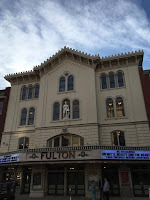 "It's a unique mixture of animation and live models as well as some Magic Lantern effects like dissolves," adds Sullivan. Visit www.amishexperience.com for tickets and more information. The Fulton Theatre will perform the timeless classic, "'Twas the Night Before Christmas."